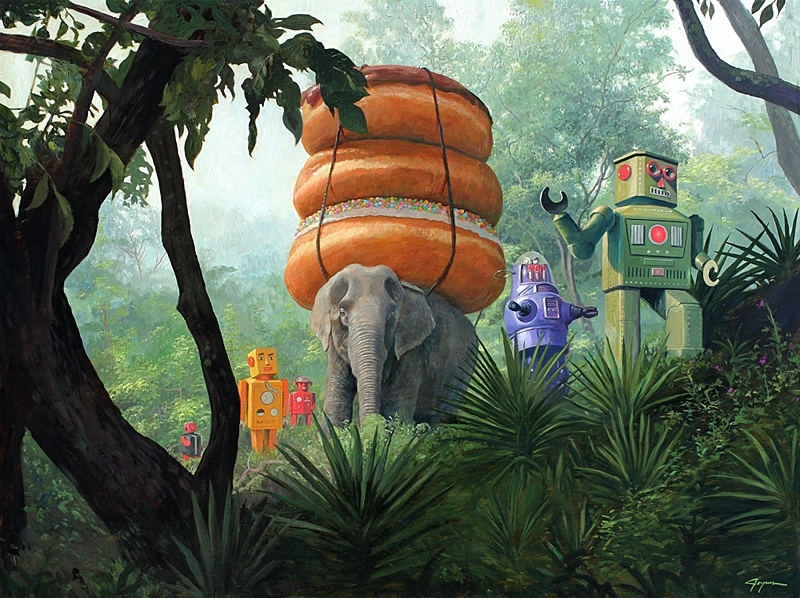 Eric Joyner is a contemporary American artist with a body of work has focused on robots and donuts. 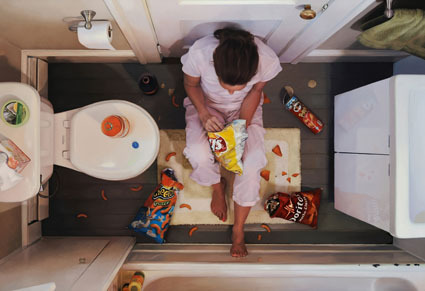 Several of his paintings are used as set pieces in the TV Show The Big Bang Theory. 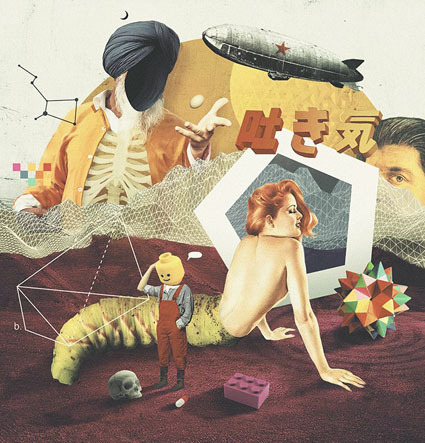 An adaptation of his 2007 work “The Collator”, “Submerged”, is featured on the album cover for the Ben Folds Five album The Sound of the Life of the Mind. Earlier in his career, he was a commercial illustrator and is responsible for creating the cover art for several video games, such as Tales of the Unknown, Volume I: The Bard’s Tale, Realm of Impossibility, and Archon II: Adept. Amazing piece of art, very creative and it mixes two stories, one being a classic and the other just a normal story. mr. Joyner is a true artist. i love these pictures. they are hilarious. Eric is a visionary. I'm staring at his calendar right now. 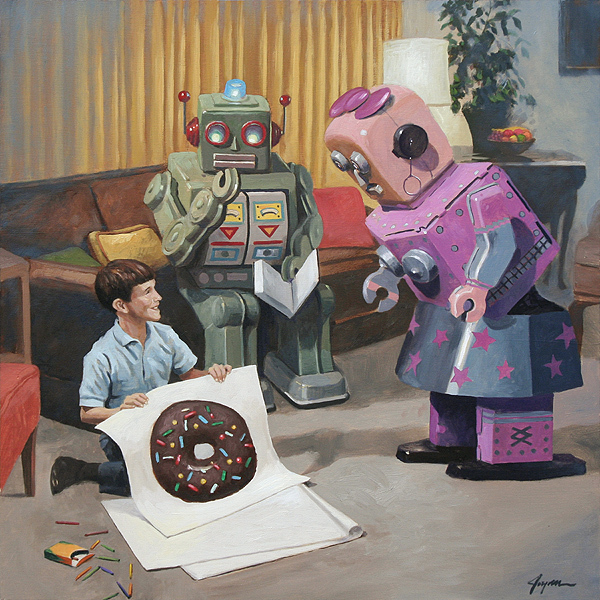 Robots inspire me. I just love these pictures!!!! There hilarious. The like a shading are spectacular and i can barely see any brush strokes. Just wonderful(amazing job with the acrylic!! he is a great guy, too! I think the reason I enjoy Eric? ?s work so much is because of the irony of taking something so youthful and setting it in such dark or mature situations?¦ like suicide?¦ :) Keep inspiring us all Eric. I can't wait for my first print of yours, "This is This", to get here! Eric's work is inspiring, individualistic and creative. He is an exceptionally fine artist. Eric is the bomb! I vote for him.